Opti Munich is now all over for 2018. What did I think of the show? Before I start I just wanted to say this is my first time attending Opti and I was very privileged to be asked to be a part of the blogging panelist for the Blogger Spectacle. It was a fun but also a tiring weekend, bearing in mind I am currently 33 weeks pregnant. The whole event was well organised and all the bloggers were well looked after by the organisers of Opti, GHM. People talk about German efficiency, I certainly experienced it during Opti 2018 (and in and around Munich itself). So, about the show and why I was there. I was there as part of the Blogger Spectacle. Before Christmas we had to go through a list of eyewear brands who were bringing out some new and innovative eyewear and the top 7 were picked. On the second day of the show (Saturday 13th January). 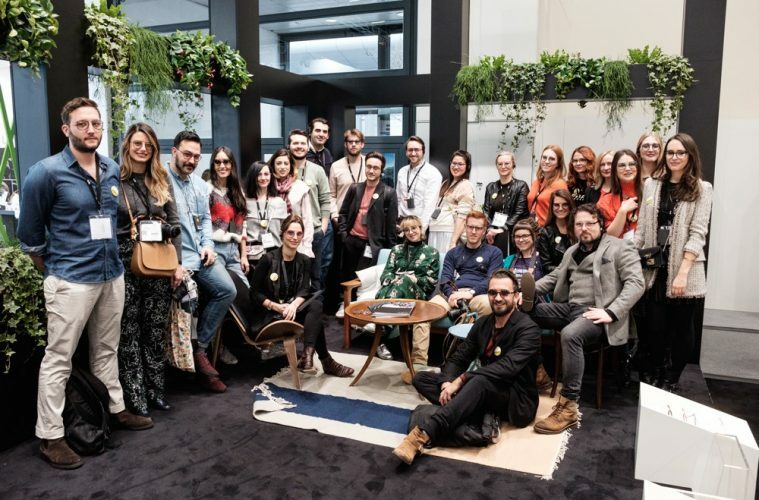 The organisers arranged a walk & blog tour and we visited all of the 7 brands where they gave us a presentation about their eyewear. In the afternoon we visited 16 new up and coming eyewear brands (they cannot be more than 3 years old). 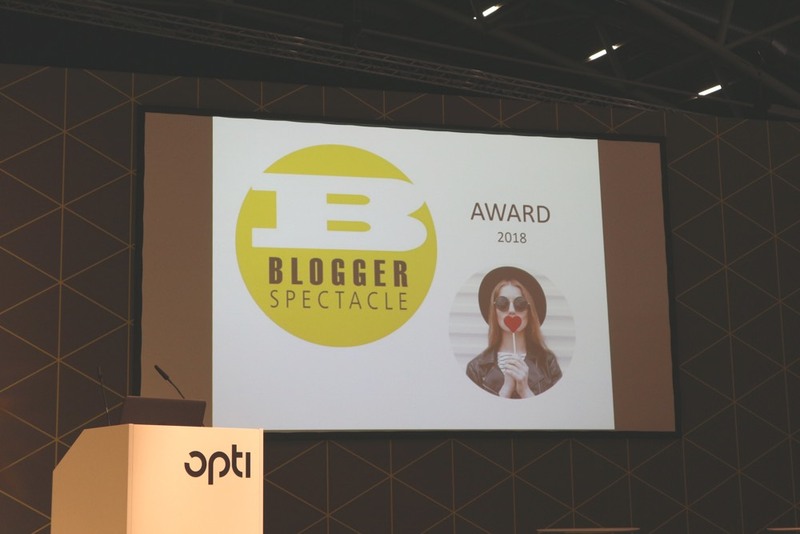 Each brand only had 2 minutes to present themselves to us, once all the presentations were over, we had to decide who shall be the winner of the Blogger Spectacle Award for 2018. It was a fun job to do and we all got to see a lot of brands in a short space of time. 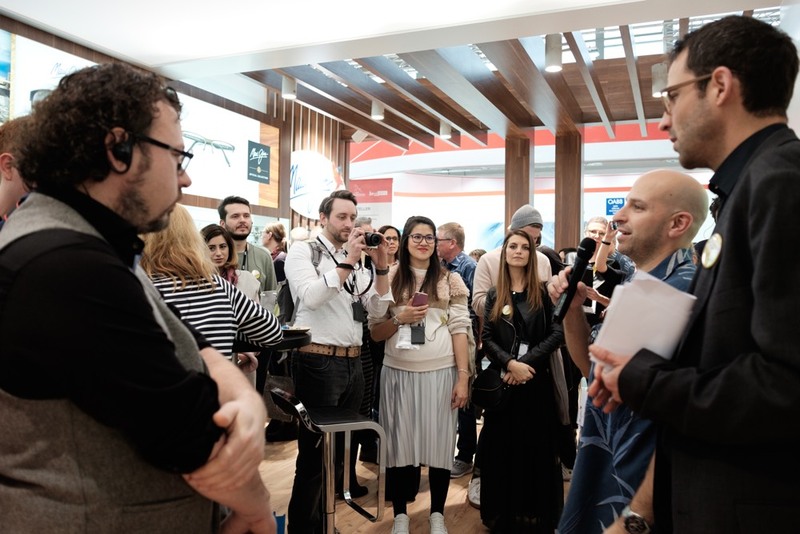 What an achievement it was to the Opti team not lose anyone, with over 20 bloggers to look after and getting us from exhibitor to exhibitor within a rather busy show packed full of people and across 4.5 halls. A massive well done to them! After all the votes were counted, one winner was picked and it was Nina Mur Eyewear, a brand that pushes boundaries between fashion and the practicality of eyewear. 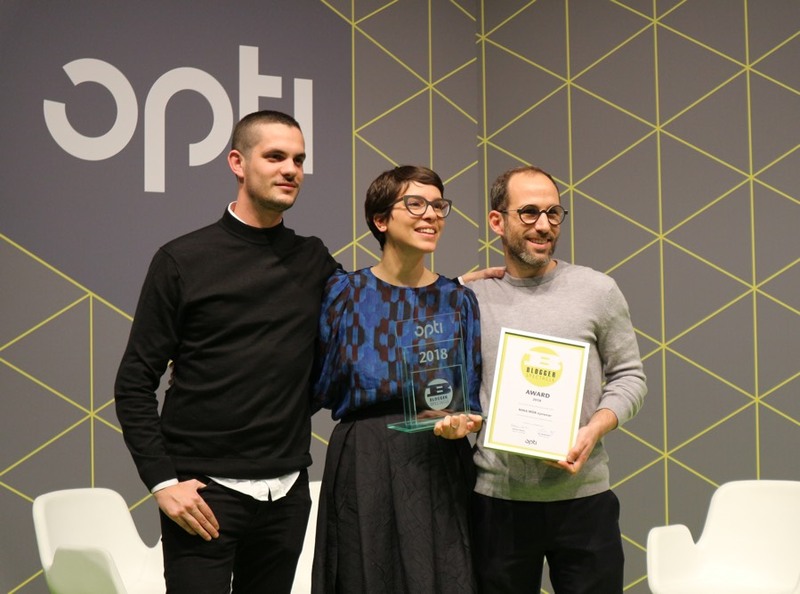 It was a well deserved winner but a well done to all 16 brands they each had something different to offer, I wish them all the best of luck in the coming year and I hope to see them again at Opti. 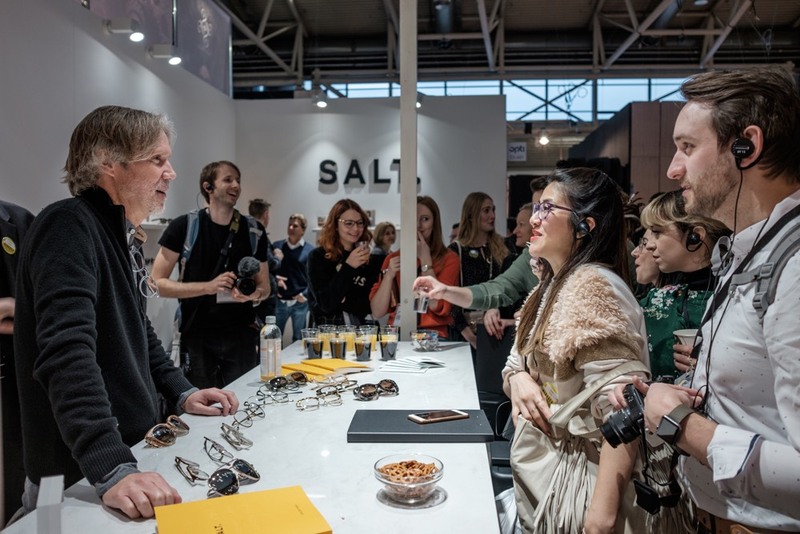 Apart from my role as a Blogger Spectacle panelist, I of course also looked around at the show to see what cool eyewear brands were out there. My time was restricted but I did squeeze in as much as I could. Here are my top 3 which stood out. Ricards Eyewear, Moody Eyewear and Grey Ant. I will talk more about each of them in another blog post. In my visit to the top 7 innovative brands with The blogger Spectacle, I also want to give a shout out to the new Maui Jim optical range. More to follow later. In summary, I have had a great first Opti experience and I cannot thank the organisers enough for taking such good care of us all. Especially me who is 33 weeks pregnant, they always made sure I was ok and wasn’t too tired to walk etc. I would love to have the opportunity to go back again and be a panelist next year. The show is growing and will be even bigger in 2019. Most of the exhibitors I visited said how busy the show was and they had a great show at Opti. Well done all, hope to see you next year 25th-27th Jan 2019. For more info you can check out their website.